Chamomile and feverfew both belong to the chrysanthemum family, which is why these two flowering plants have a similar appearance. They look enough like each other that it is possible to mistake one for the other. They are also similar in how they are used. 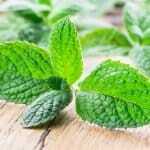 They are both tea herbs that can be used in its fresh or dried form. Beyond that, they have a few important differences when it comes to their properties and their applications. We will compare these two herbs further in the SPICEography Showdown below. 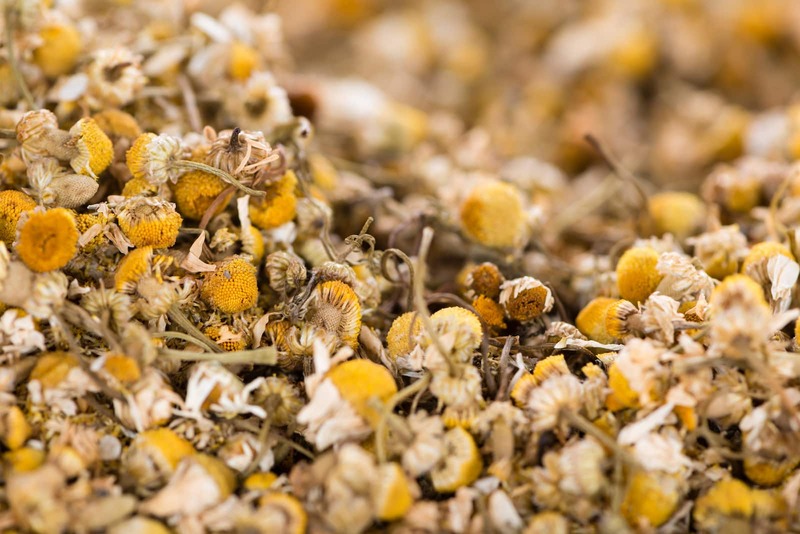 How do chamomile and feverfew differ? These two members of the Asteraceae family differ firstly in terms of flavor. The similarity of the chamomile flavor to that of apples has long been recognized. Pliny the Elder reported the fact that the herb’s scent was very much like the scent of apple blossoms. In addition to the apple note, chamomile’s fragrance has a strong floral quality. Feverfew does not have the apple flavor. Instead, it has a noticeable bitterness combined with a subtle element of citrus. Both of these herbs are used medicinally but the ailments they are used to treat differ. Chamomile is primarily a sleep aid and treatment for anxiety. Feverfew is mostly used to treat headaches; specifically, migraine headaches. Chamomile is widely available; you can find it in most grocery stores, either in the tea aisle or the Mexican foods aisle. It is usually relatively inexpensive. Feverfew is much harder to find. You are unlikely to find it in the average grocery store. Your best bet for finding this herb will be a local brick and mortar herbalist or an online herb retailer. Can you use chamomile in place of feverfew and vice versa? 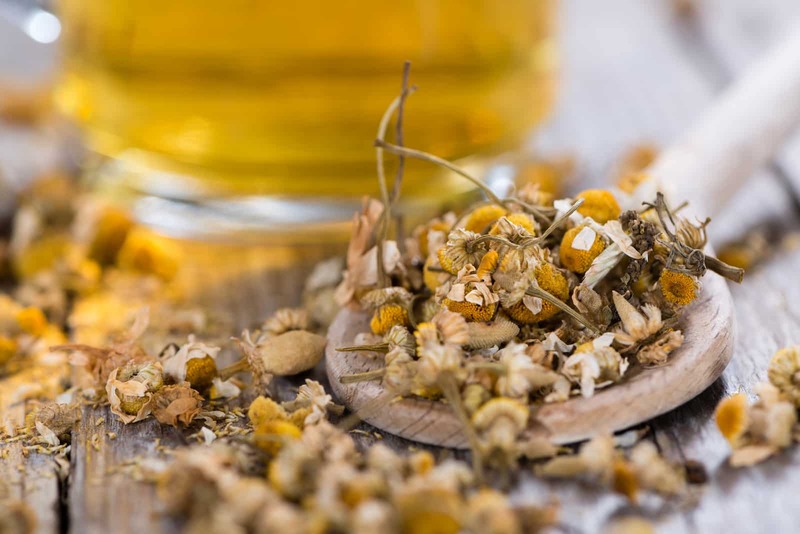 Since both herbs’ main applications are primarily medicinal and since they have different effects, chamomile and feverfew are not usually used interchangeably. Unlike feverfew, chamomile is sometimes consumed solely because of its flavor. For example, it gets used in the Spanish sherry known as manzanilla sherry. Feverfew does not have the apple note that you get from chamomile, which means that you cannot use it to get a similar effect. You can consume feverfew and fresh chamomile (both the leaves and the flowers) raw in salads. Keep in mind that both of these ingredients are known for having a bitter flavor when consumed in the uncooked state. If you are seeking an herbal treatment for inflammation, both herbs can provide this benefit; however, it should be noted that feverfew is also a blood-thinner. The thinning effect means that it should be taken with caution, especially if you are taking aspirin or other medications that have a similar effect. There are no such contraindications for chamomile. When should you use chamomile and when should you use feverfew? Use chamomile when you need a sleep aid or an herbal remedy for anxiety. If you are a home brewer who is making a wheat beer, chamomile is one of the flavoring ingredients that you will need. 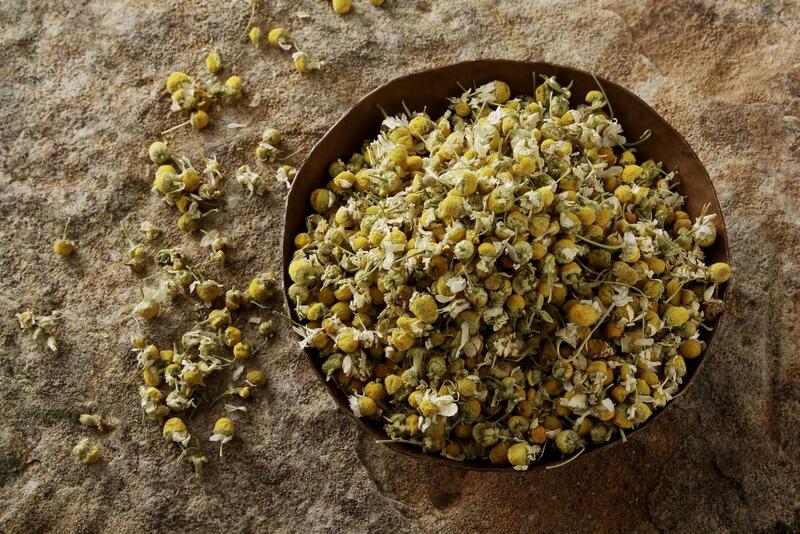 The floral and fruity sweetness of chamomile makes it great for desserts and alcoholic beverages. Feverfew does not have those qualities and as such is relegated to the roles of medicine and salad green. Bitterness is a more acceptable quality in those applications. Use feverfew in a tea for relieving headaches and in a salad where it will provide a bitter flavor similar to that of arugula or radicchio.